Ligaments are strong, nonelastic fibers that connect your bones and provide joint structure and motion. 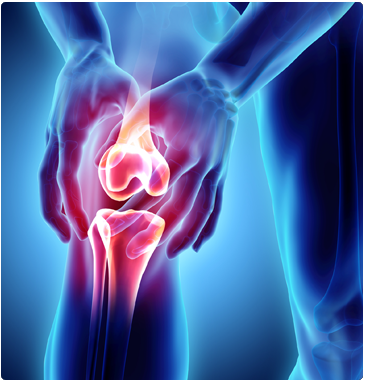 The ligaments in the knee and shoulder are especially vulnerable to injury, particularly during sports. By far, the most common type of ligament disruption is a tear of the anterior cruciate ligament (ACL). This ligament, which crosses inside the knee and connects the thighbone to the lower leg, is frequently injured during sports. Athletes who participate in football, basketball, soccer, and snow skiing are most susceptible. That’s because these sports involve changing direction rapidly, abruptly slowing down from running, and landing jumps, all of which acutely stress the ACL. Other common ligament disruptions include the posterior cruciate ligament (PCL) of the knee, ankle sprains, and separation of the AC joint in the shoulder. If you suffer a ligament injury, you’ll be glad to know that Spectrum Orthopaedics has a team of surgeons who are specialists in treating injuries of the knee and shoulder. We offer the latest treatments and therapies, including minimally invasive surgical methods such as arthroscopy. With these state-of-the-art procedures, we can minimize the pain, reduce scarring, and get you back to your activities faster. To schedule an appointment with one of our orthopaedists, call our North Canton office at (330) 305-0838 or use our online appointment request form.